Bijoy Jain’s and Studio Mumbai’s MPavilion 2016 was a wonderful point-of-difference to AL_A’s technological triumph of 2015. Using traditional materials and methods, Bijoy Jain’s stunning architecture combined the materials of bamboo, rope and karvi panels with the concept of ‘lore’ to create an architectural work of beauty, warmth and cohabitation—a place of meaning. MPavilion 2016, after being gifted to the City of Melbourne, is currently undergoing relocation to the Melbourne Zoo. Its change of address is due for completion in late September, 2017. AL_A’s pavilion was a triumph in technology reimagining what a pavilion can be. Wallpaper* magazine featured AL_A’s design in a list of 15 installation that capture the global imagination: “A truly timeless installation, whether temporary or permanent, alters its surroundings by broadening the idea of what could belong there. What is done with art cannot be undone—and our world is richer for it.” Designboom named it as part of their top 10 temporary structures of 2015 selection. 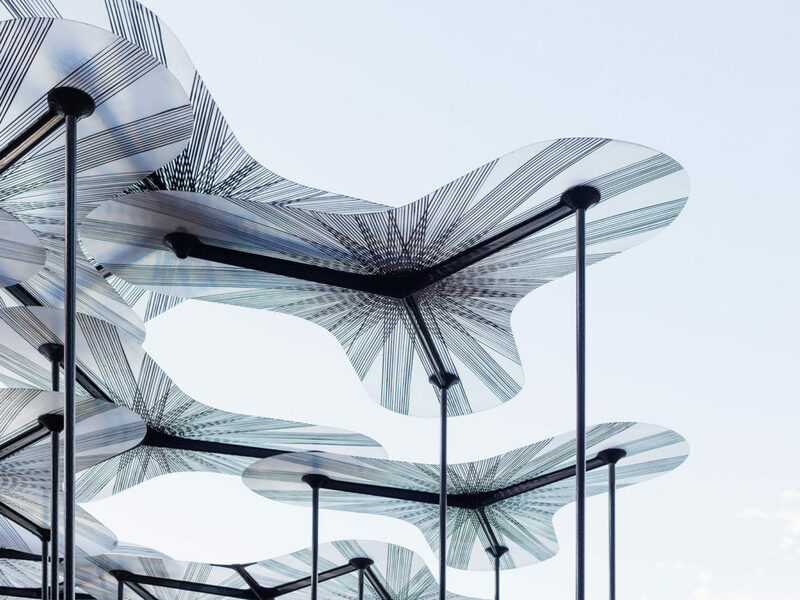 A gift to the City of Melbourne, AL_A’s high-tech canopy of composite petals and carbon fibre stems can now be found at the corner of Collins Street and Harbour Esplanade in Docklands. You can now visit anytime, day or night, to immerse yourself in the high-tech forest canopy of translucent fibreglass and carbon fibre petals. You can visit AL_A’s MPavilion 2015 in its permanent home at any time, day or night, in Docklands from 22 August 2016. 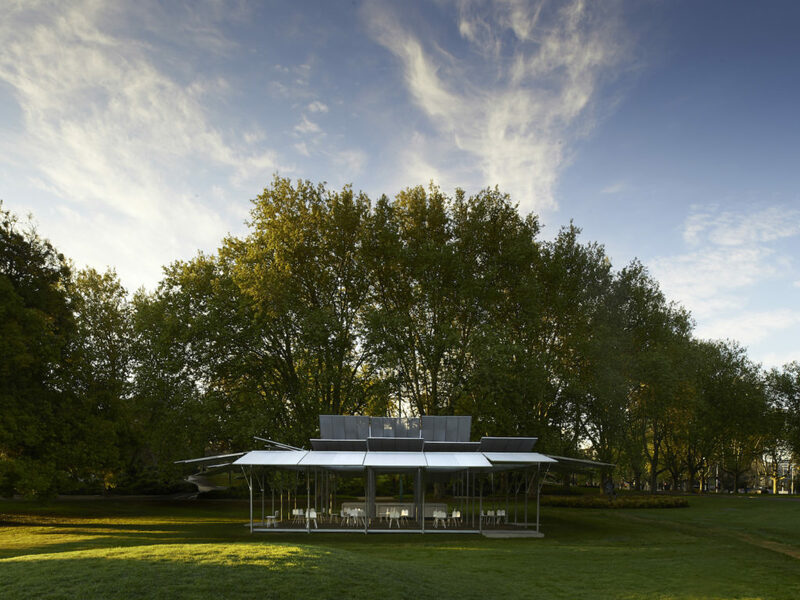 Click here to visit our archived 2015 MPavilion site. If you long for Sean Godsell’s MPavilion 2014, you can visit it at its permanent address! A gift to the City of Melbourne, the fully automated, blossoming structure lives on in the courtyard at William Street’s Hellenic Museum. If you’re planning a visit, remember the Hellenic Museum is open Tuesday–Sunday, 10am–4pm. It’s closed 25 December to 5 January and on all public holidays except Labour Day. 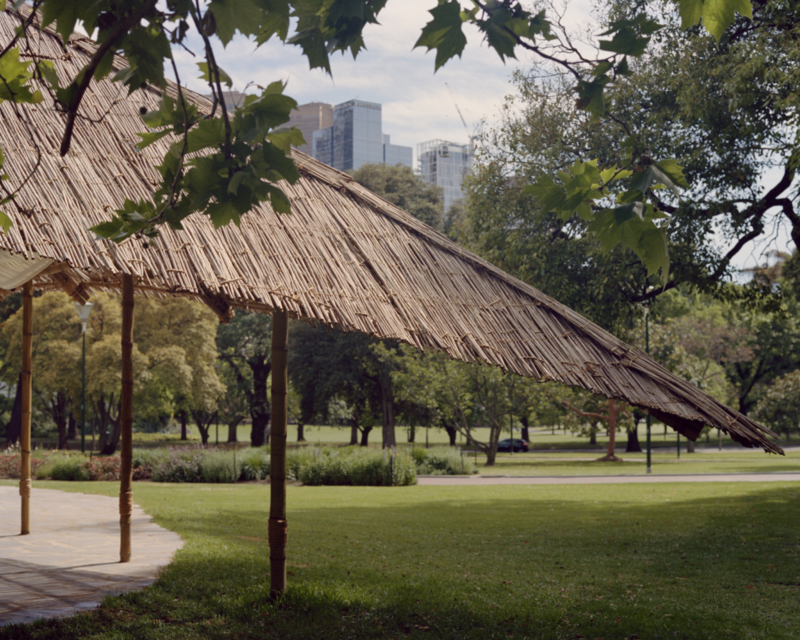 You can also visit our archived MPavilion 2014 site here.